Avoid making your parents' mistakes and instead build a fully transparent, supportive financial relationship. When Eric and I got together over six years ago, we were in veryyyy different places financially. I had a stacked emergency fund, no debt, and a spotless credit score. Eric on the other hand, was spending $50 a day on coffee, eating out, fancy newspaper, and shoe shines (true story). He had around $7,000 in debt, and a credit score of about 640. While I was waitressing or in night classes every day of the week, he could be found out at the casino or being a little too charitable with friends and acquaintances. I watched my parents struggle with the finance talk. My dad was an entrepreneur who lost a lot of his money and spent most of my middle and high school years trying to get it back, while my mom supported us on her income. And very similar to me and Eric, my dad had an affinity for his expensive newspapers and shoe shines, while my mom pinched every penny. I knew I didn’t want to end up with that type of disparity in a relationship. While they loved and supported each other and things always worked out, it just seemed like unnecessary tension and avoidable with a lot of honesty, love, and communication. So how did we go from almost making my parents mistakes to a fully transparent, supportive financial relationship? We TALKED. A lot. About everything. And today I wanted to share some of the points you can bring into your own financial relationship convos. It’s a lot easier to begin talking about a taboo subject like money when you start generally. For instance, was money something that was talked about or not as a child? Did you ever pick up on any financial tensions? If so, what were those about? What are the money messages you received growing up? Here’s also where I personally would ask about any family history of bankruptcies, gambling, or addiction if you don’t know already. You can begin to transition a little deeper by asking, what are your beliefs about money? For example, I’ve always believed that money comes easily to me because I know how to work for it. I will bus tables, clean houses, and do whatever I need to do (within legal range of course!) to make a buck. Tip #2: Talk about your future goals and lifestyle. Again, this is a great way to begin easing into the conversation by making sure you are on the same page about your future lifestyle. Think about what you have in mind for your lifestyle. Are you aiming for monthly massages and facials? Or are you trying to get that 6 bedroom mini-mansion? Do you prefer to keep things low key and minimalist, saving up for retirement and travel instead? Speaking of retirement, what age do you hope to retire at? Do you believe in an emergency fund? Investing? Do you prefer to cook or dine out five nights a week? This is one of the biggest areas right off the bat to ensure you understand each other. Are you building towards a similar future? For instance, I grew up taking annual vacations and as a kid, I got to host two huge parties every year (one for my birthday and one for Halloween) and that’s something that’s extremely important for me to bring into my children’s lives. For Eric, he was huge into sports and wants to make sure kids have the same ability to travel and get all the equipment and experience they need. Do you both plan to work? What should we do if we disagree about spending? Now we start to transition into the more current state of your finances. This is a great way to get an idea of where the person is currently at, without being like “HOW MUCH DEBT ARE YOU IN?!? !” Instead, ask about their beliefs on spending vs saving if you haven’t already and how are those beliefs playing out in the day-to-day and whether or not you’re working off a budget. Personally, I saved saved saved and rarellyyyy spent – and still now spend pretty rarely – until I met Eric. I personally believe that big box retailers aren’t going to help me retire, so why am I going to invest my money into them vs myself? I’d rather skip buying new clothes for an entire year and instead get a regular massage for my overall well being. With that said, there was a time I wouldn’t even get a massage so I had to really ask myself, what was my overall health worth? Did I really need that extra $150 a month in savings or was the cost per happy for me worth it? Cost per happy is a great little formula when evaluating your spending style by the way. Basically it means figuring out what the cost of an item or experience is, divided by the number of hours it will actually benefit you. So if you spend $150 on a massage, but it alleviates my tension headaches an restores my energy levels for 2 weeks, that’s a SOLID investment because it’s more than just the 90 minutes on the massage table. Tip #4: Current state of affairs. Now that you’ve covered the messages you’ve picked up from your family and childhood, your hopes and dreams from the future, and how you’re currently spending, it’s time to actually get into the nitty gritty about the current state of affairs. Do either of you have any debts including student loans? Have you started saving for retirement? What’s the status of your emergency fund? What types of bank accounts do you have? Any investment accounts? Credit score? The reason I bring up investment accounts and bank accounts is because you may be able to HELP each other here. For instance, I’ve always been pretty savvy when it came to bank accounts, so I’ve never paid a monthly fee. I realized a few years ago that wasn’t the case for a lot of people though. So talking about these types of things can make it helpful to see where your significant other is paying hidden fees that can be avoided or any other leaks in the budget and then help each other plug the holes. It’s also important to understand what debts exist and the status of an emergency fund so you can be supportive of decisions going forward. When I found out about Eric’s financial situation, I immediately had him stop taking me to fancy steak houses, and started cooking and doing date nights in. That was an easy compromise for me since I enjoy dates like that and knew his bank account didn’t need the strain of trying to impress me. We still would have fun, but we based our more adventurous dates on what we could find on deal sites rather than paying full price. And remember that it’s important to ask for help from people like Lexington Law to raise your credit score and get out of debt. Finances are often a big cause for strain in a relationship, so it’s essential you work together as a team, and enlist experts if you need. It’s simply investing into both of your financial futures, and the health of your relationship. I think breaking it down this way really removes any shame or guilt about where you’re at, because it allows you to reflect on how you got there and see whether or not it aligns with where you want to go. 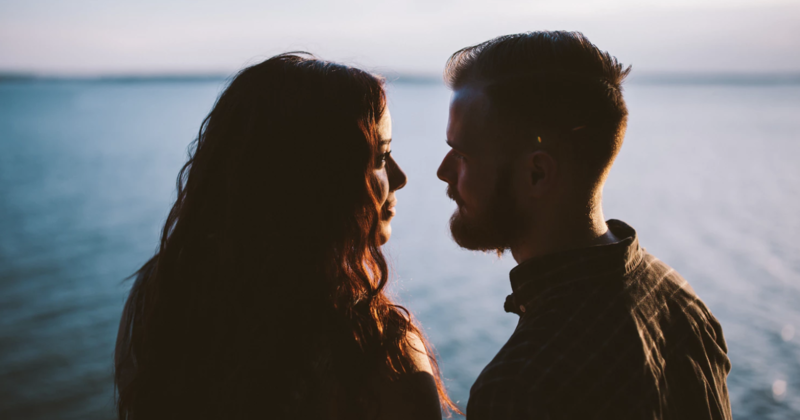 When you talk about this stuff openly as a couple from a place of love, rather than accusation or judgement, it can really change the game in supporting one another since you are a team after all. Eric agrees. In fact, here’s what he had to say: Living within my means and putting money into savings every month has given me so much more satisfaction than the fleeting false sense of happiness buying that next expensive item or dinner ever provided. Knowing that Rachel and I will be able to do what we want, when we want and have a comfortable financial future is extremely satisfying and gives me such a better purpose in life. As I’ve grown to love find more internal happiness and peace, I’ve had less of a desire to try and emulate a certain lifestyle that isn’t really aligned with my core beliefs. I learned that spending money on activities and experiences, creating lasting memories, is what really lifts me up. At the end of the day remember you are a team. Once you’re on the same page about your money views and where you’re at, it’s still important to keep having conversations like this and being transparent about finances. And again, if you need more help, there are experts like Lexington Law who can alleviate a lot of stress by helping you get out of debt and repair your credit.